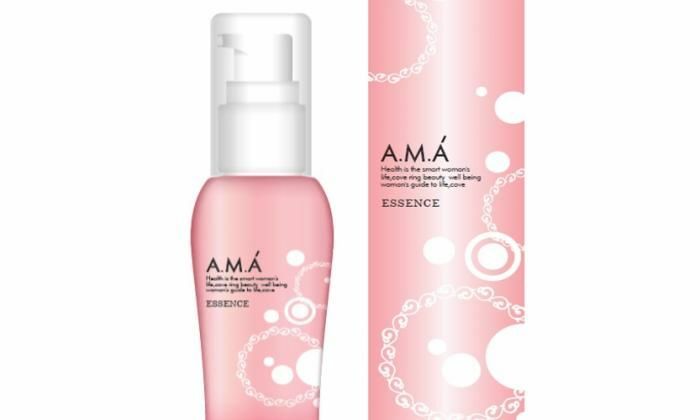 Made with extra attention to maximizing its osmotic force (aqua catch formula), A.M.A Gel Skin Essence helps to return the skin to its original state by creating a pure, transparent layer from within the skin to create a more supple and elastic skin with less visible wrinkles by gradually approaching the mimetic muscles. The product also reflects light and helps the skin retain moisture for a clearer skin. It combines 5 major beauty ingredients in large quantities that are known to be effective for whitening, improving wrinkles, and softening grain as desired by women. 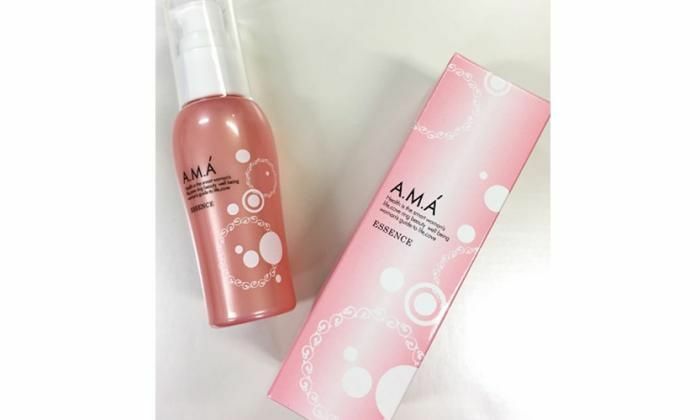 As an all-in-one product that can be used by itself condition skin, this universal-type gel skin essence has been popular among customers for its unique formula that works the cell membranes to train and harness the natural healing power of the skin. *(A.E., a female customer in her 30’s) I haven’t been using skin lotion because I was too busy caring for my children. Luckily, I found this reasonably-priced, all-in-one product that was packing an abundance of beauty ingredients. It’s a perfect skin care product for someone as busy as me that actually keeps my skin soft and supple. * (M.Y., a female customer in her 40’s) It didn’t take long before I noticed my skin had become rough after working hard both outside and at home. 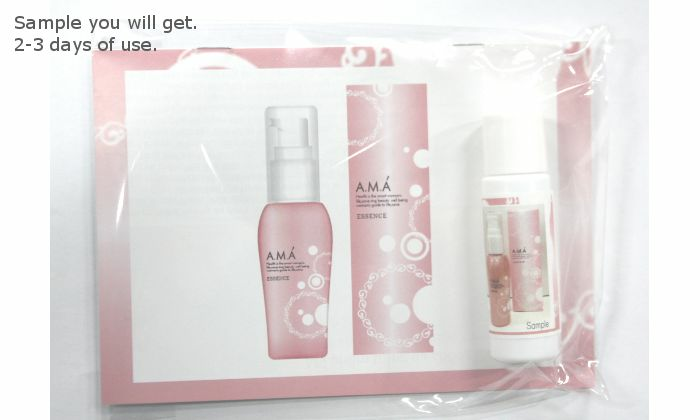 I became concerned about it but then I came across A.M.A Gel Skin Essence. The first time I used the product, I was surprised at how it made my skin glow. As a matter of fact, every time I used the product I’d get compliments from others about my face, which made me think of the product as something different from what I’ve been using until now. * (W.N., a female customer in her 50’s) The product’s permeating force surprised me the first time I used it. It conditions and whitens my skin and gets rid of wrinkles and grain. I’m wholeheartedly satisfied. 1. Grab an appropriate amount (500yen coin size or diameter of one inch). If your skin is too dry, the component may absorb too quickly when massaging into the skin. 1-1. Place the gel on 5 places on the face and lightly spread it all over. 2-1. Massage the back of the ears by pinching lightly. 2-2. Slide your fingers straight from the back of the ears to the collarbone and take it down in a straight line. 3-1. Pinch the top of your cheeks with your thumb and forefinger. 3-2. Pinch the eyebrows at the same time. 4-1. Make a V-shape with your hands and hold up to your face-line firmly, then move them to behind the ears. 4-2. Once they are behind the ears, slide your fingers to the collarbone. 5-1. Pass below the cheekbones from the nose and firmly lift up to the temple. 6-1. Slide your finger from tail corner of the eye　→　inner corner of the eye　→ lightly rotate below the eyebrow and around the eye →　slide your fingers to the temple. 6-2. Slide your fingers from the temple to the front of the ear →　behind the ear →　collarbone. B.A.T Inc. (Beauty and Health Products Laboratory) focuses mainly on developing beauty and health-related products with the company motto of, “furthering health is furthering beauty”. When it comes to developing a beauty product, the CEO himself uses his own know-how to create products after studying the skins of more than 5,000 women to find ways to solve their skin problems and considering various beauty ingredients as well as cost-performance. The corporate’s other associated companies located throughout Japan specialize in welfare and medical education, as well as healthcare and health services. Good for using is winter. The essence is quite moisture. Not to dry after using it.